It is great to get away from it all sometimes. To spend three days away from the overcrowded, noisy, gridlocked streets of Phnom Penh. To escape the stench of trash on the road, the incessant blaring horns of vehicles and the gritty taste of dust in one's mouth. The great thing was, I didn't even have to leave the city to get away from these daily torments... because everyone else left! For three glorious days of Pchum Ben I enjoyed a holiday mood, driving my little 50cc moto around a deserted Phnom Penh. Now things are almost back to normal in this town - but I have an appetite for further unhurried and unharried adventures. Perhaps a trip to Kampot is in order! The Kampot Playboys have a long-established jam session at Madi House each Thursday night. 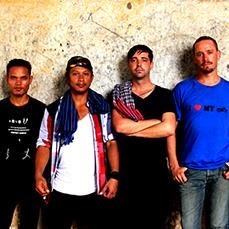 This excellent band combine Khmer vocals and a smokin' hot Tro Sau Toch (traditional Khmer bowed instrument) with groove-orientated drums, bass and guitar. The resulting retro-rock fusion can wander in surprising directions but the band is galvanised by the sheer energy contributed by Uk Sokchiet (vocals, guitar), Bong Tro (Tro) and brothers Mark (bass guitar) and Ben (drums) Chattaway. The band will also be joined this very evening by occasional second guitarist Conrad Keely. The …Trail of Dead front-man put in a telephone call to Leng Pleng from a speeding Toyota Camry – somewhere between Kampong Speu and Chhuk. Jack had some trouble hearing what Conrad was saying above the noise of the road – but there was definitely something along the lines of 'it's going to be a great gig tonight'. The Bodhi Villa has a well-deserved reputation for being the place to visit in Kampot for live music and DJs on a Friday night. Looking at the riverside venue in the daytime, it is hard to imagine how Bodhi impresario Hugh Monroe manages to cram a full band, DJ, sound system and one hundred or more bouncing revellers into the less-than-gigantic proportions of Bodhi Villa. But cram them he does - whether at the bar, on the dance floor or on the pontoons floating on the Kampot River, and it always seems to work. Hugh and his team work meticulously to ensure the sound system is in great shape for each show. When the Friday night crowd at the wooden-structured villa are enjoying themselves, the entire venue is quite literally 'bouncing'. Television Ted reliably informs me that the place is going to be pumping this Friday - when the totally energetic and rolling rockabilly band, Joe Wrigley & The Jumping Jacks, return to play an extended set of outrageously great tunes. When M.I.C. wraps up at Lightbox, the after-party will kick in at the Saturday-night Kampot destination of choice – Naga House. For more information, see the facebook event page. Whether you are wandering through the backwaters of Kampot, or navigating the back streets of Phnom Penh, stay safe out there and... see you around the traps! “Phnom Penh is like a blank canvas where you can pretty much create whatever you want, be it art, music, film. There's a revival happening and I've fallen in love with Cambodia like so many of us here. It's a truly special place”. - ANTHONY LEFFERTS, Space Four Zero, Founder. Space Four Zero is a new live music and arts space opening this week in Phnom Penh. The party kicks off on Thursday evening with the opening of an exhibition entitled Dara Puspita: The Greatest Girl Group That N(Ever) Was. Dara Puspita were an all-girl rock'n'roll group formed in 1960's Indonesia. Cambodian Space Project return from their international travels to play a special show at the venue on Friday night. Space Four Zero main-man Anthony Lefferts told Leng Pleng that he expects the gig to be a 'big ole shindig'. Read the full Q&A with Anthony here. The conclusion of the Buddhist festival of Pchum Ben this year falls on weekdays, with plenty of gigs happening in Phnom Penh over the weekend. The three days of national holiday (22-24 September) are normally marked by an exodus of city-dwellers to their home provinces – it might be wise to check with your venue to see if any of the regular gigs you would usually expect to attend have been affected. "The best thing about playing duo with Phil is that anything is possible. Phil can go from jazz to pop to classical to Corsican jail ballad - all within the same song. Responding to him and bouncing around ideas is a whirlwind of musical adventure. Every time we finish a song, the way we play together is so surprising we both keep laughing. We thought about calling our duo 'The Happy Endings' - but we are having second thoughts ;-) "
Two really cool gigs happening on Saturday both feature an interesting and novel mix of musical styles. 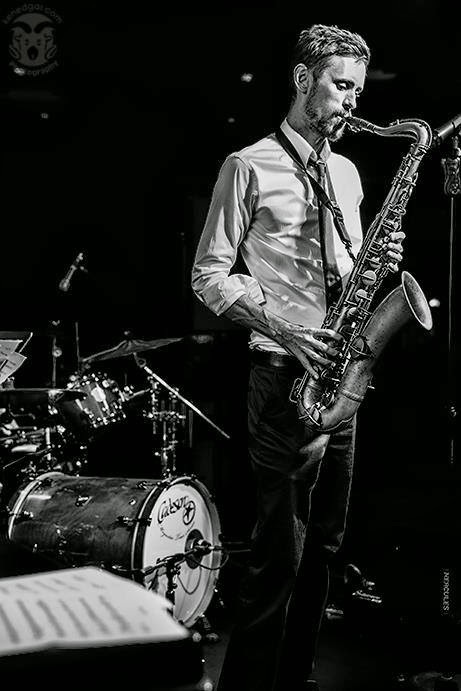 Los Hermanos is a new four-piece band comprising the talents of Chris Kebeck (guitar), Dima Verba (bass), Jimmy B (saxophone) and Luis Arambarri (drums). These guys are all seriously good, experienced musicians. They will be playing a fusion of music that spans 'South to North America' – from the samba and bossa-nova of Latin America to the jazz, blues and rock of the United States. Los Hermanos make their début at Slur Bar this Saturday night. 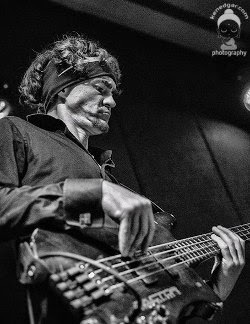 The virtuoso bass-playing of Dima Verba is particularly worth checking out – Dima is a musician capable of getting some jaw-dropping sounds from his five-stringed instrument. Over at Sharky Bar on Saturday, guitarist Aymen Ghali and saxophonist Bunhong Cheak continue their collaboration with vocalist Miss Sarawan. 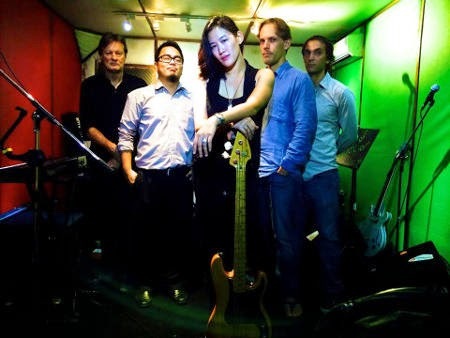 The Miss Sarawan All-Star Band play a repertoire of Khmer rock'n'roll songs from the 1960's and 1970's in a jazz-orientated style that marries a delicate, high Khmer vocal with the distinctive sound of the 'jazz manouche' guitar. In the gloriously random fashion of the Phnom Penh music scene, you can wait months for one of your favourite female singers to perform a gig... then suddenly all of them play on the same weekend! Please remind me to submit a strongly-worded letter to the central planning committee – we are supposed to be in the depths of low season yet once again I have a Friday night dilemma – which gig do I attend? Kristen Rasmussen is a classically-trained vocalist from Washington DC, USA. She studied voice for many years in Asia but later decided to step away from the classical world to focus on a very different style of music – American blues, country and soul. Mekong Messengers are something of a Phnom Penh supergroup, featuring familiar faces from zargz & the TenTipz, The Jumping Jacks and Route 66. The band try to make every show special by playing only once every few weeks. Mekong Messengers make their debut at Sharky Bar this Friday night. In singing terms, lead singer Kristen is a 'belter' – her vocal power, range and expression are quite something to behold. “Playing at Sharky's has a special significance for me since it's where my singing journey in Cambodia began. I sang there for the first time back in 2007 with Curtis King... Although I've been singing on stage for much of my life, it was at Sharky's where I started singing the music that I was 'born to sing'. My love for blues and other American music connected me with other musicians like Jonas Hasting, the guitarist from my former band, Little Duke and the Mekong Blues Messengers. - Kristen Rasmussen – Mekong Messengers. 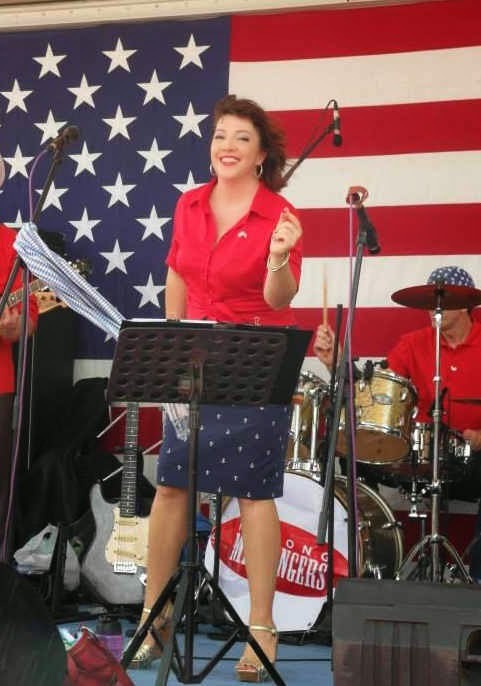 Mekong Messengers will be joined at Sharky's by guest vocalist Jenna Holliday - making a cameo farewell appearance before she returns to the United Kingdom. Jenna is another amazing and soulful singer who does not gig too often. She has formerly sung with Phnom Penh bands Moi Diet! and Holliday in Cambodia. Meanwhile, just the other side of Wat Phnom, the fabulous Rhiannon Johnson will be making a highly-anticipated return to Doors Phnom Penh. The line-up of her quintet has changed somewhat, with Phil Javelle joining on keys and Toma Willen taking over the drum stool. Funk-soul brothers Stephane Routtier (saxophone) and Andry Rakotoniaina (bass guitar) are returning heroes. Every musician in the band is of a very high calibre and followers of Rhiannon can expect a great show on Friday. Doors is one of the larger live music spaces in Phnom Penh and works best as a venue when it is absolutely packed. Rhiannon is one of the very few local performers to have consistently filled the venue. Her smooth-as-silk vocal style is backed up by a great stage presence. Incredibly, the choice of wonderful female-fronted bands playing in Phnom Penh on Friday is extended even further with Adobo Conspiracy at Equinox and Sinville Roadshow at Slur Bar. Even the most organised and resolutely sober of gig-goers (such as your own Jack Diamond, Esq.) might have some difficulty in getting around all of these traps before the last encore is called. Still, it would be a shame to miss either the sassy and outrageous Funmi of Adobo or the soulful rock'n'roll power of Sinville's Tiffany X.
Maia Diokno is the lead singer of Vibratone – perhaps the grooviest band in Phnom Penh right now. The roots-reggae sextet have composed more than twenty original songs. The music is driven along nicely by the trade-off between simple, heavy dub bass lines and the inimitably flamboyant drumming of Luis 'The Crazy Brazilian' Arambarri. Like an excited child told to sit still in one place, Luis cannot help but wriggle around between different musical styles – adding lashings of Latin percussive flair to the reggae 'riddims' of the band. Maia sails over the top of the musical mix with her smooth, easy vocals. 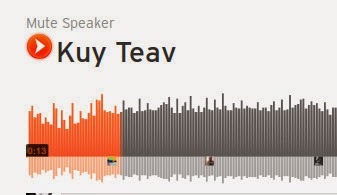 “The songs are about injustice, inequality, rights, love, obsession, Phnom Penh, learning from mistakes...what I write depends a lot on my mood, and whether the words flow... I love the music, love writing lyrics for the music, and love my new brothers from many different mothers. 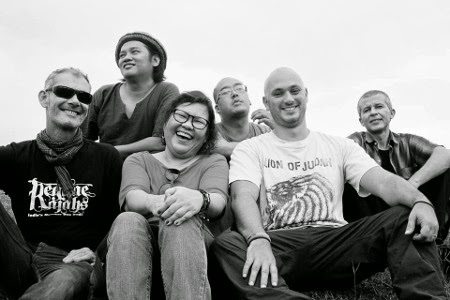 I'm looking forward to our next gigs...” - Maia Diokno, Vibratone (read Maia's blog post about the band here). Over at Slur Bar, Christine Kao performs her second gig as lead singer of The Fumes. 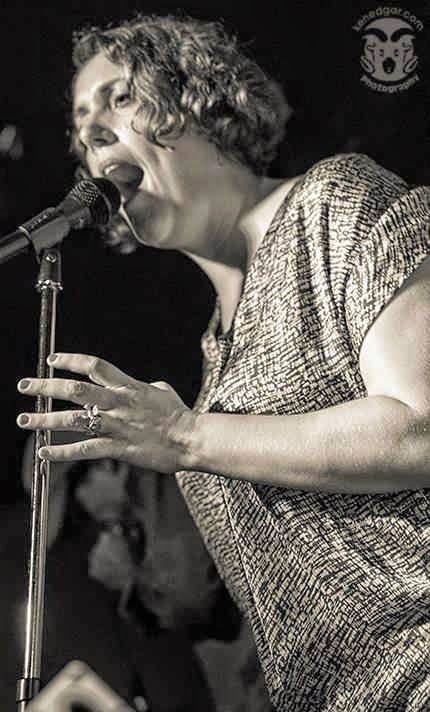 The statuesque chanteuse received something of a 'baptism of fire' during a racous debut gig at Sharky Bar last week – she should now be ready for anything! Later on Saturday night, Lisa Anderson Concepcion and Sophie Rose form the female component of Creative Artist Night at Equinox. The two singers have contrasting styles – Lisa the elegant pop songstress, Sophie the striking original songwriter. They will perform individual sets along with spoken-word poet Kosal Khiev and mixed-media artist Papa Dub - a new project combining live music and video by musicien extraordinaire Seb Adnot. Best of wishes from Leng Pleng to Seb, Professor Kinski and all the members of Dub Addiction as they embark on an international tour taking in both Thailand and La Réunion Island in the Indian Ocean. In preparation for Saturday's Creative Artist Night, have a look at the teaser video below from Papa Dub. Talented jazz pianist Mathias Aspelin is a busy man this week. Three shows at The Groove on Thursday, Friday and Saturday are followed by a fundraising concert hosted by Doors on Wednesday evening. Mathias will be performing at Doors for Chances4Cambodia – an NGO supporting Cambodian women to access higher education. In keeping with the female-centric theme of this week's wrap, just time to mention that Meta House are having a video screening on Tuesday night entitled Strong Women In Music – featuring 'cutting edge women artists, bands and directors'.